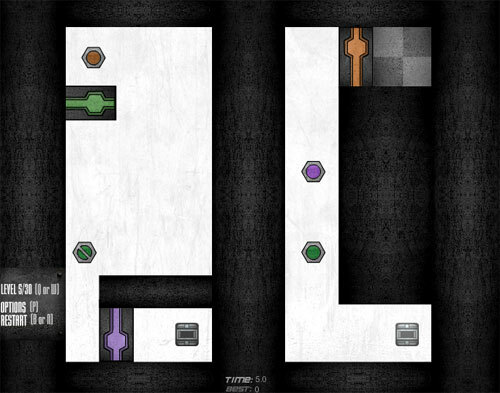 Description This game fuses logic and speed into a unique puzzle experience. You have to go around each level using two pieces, which are separated by a wall in the middle. There are many different objects you can interact with that will affect your surroundings. There are 30 levels in total -- Good luck!! Very entertaining and addicting puzzle game. And cool music!